This is a book aimed at the smarter child in your life. As the name tells you, it’s about a wide variety of Irish animals, some familiar and some not so familiar. It gives insights into insects, birds, fish, amphibians, crustaceans, mammals and even lizards. It is a large format book which is heavy on images, and is beautifully illustrated by Aga Grandowicz. 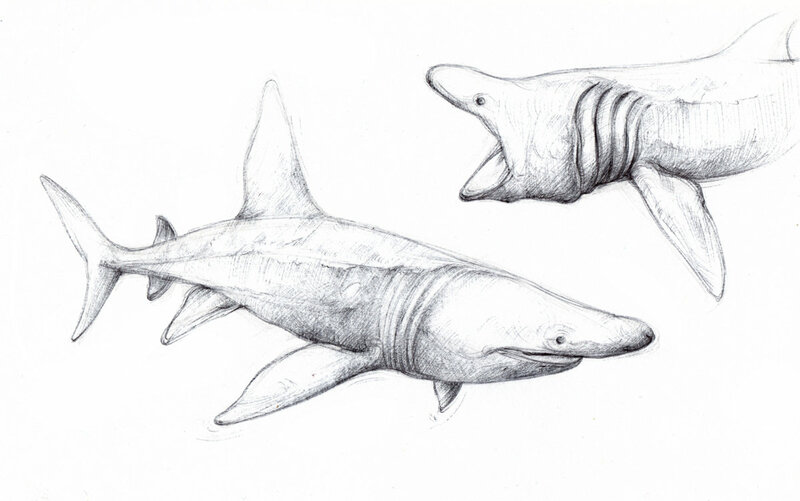 Each animal gets a two-page spread with one fully worked colour image and then a variety of pencil sketches showing the animal at various stages of its life. There is also text about each animal, some of it purely factual about its lifespan, habitat, or what it eats, but there is also a humorous edge that gives you some fun facts. The book is introduced by the mysterious Dr Hibernica Finch, who tells us to pay no mind to what the cat says, curiosity is a wonderful thing! She tells of her early ambition in life, when asked what she wanted to be when she grew up, her answer was a dolphin! Unfortunately, she did not achieve her goal and ended up a zoologist instead. 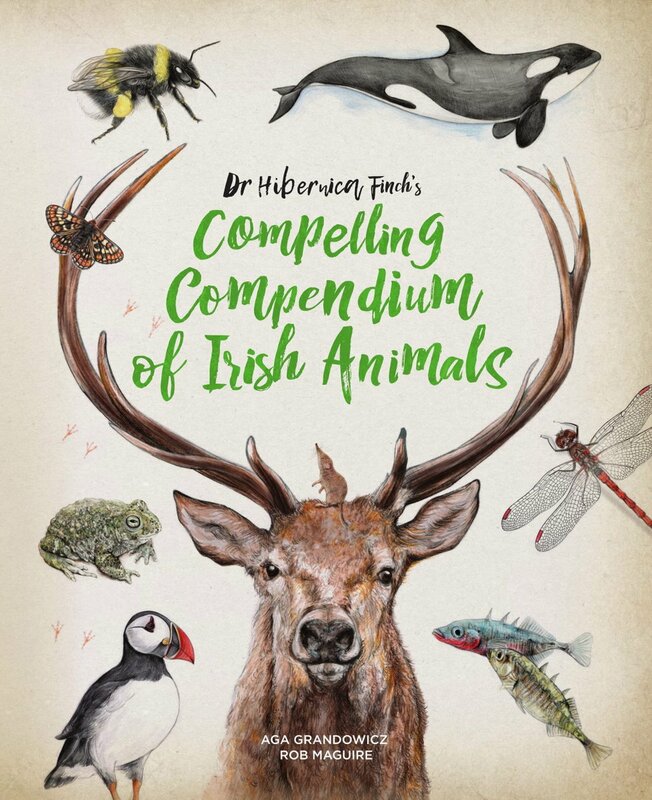 While the book is called Irish animals, it does feature a wide spectrum of animals. They are broken up into three categories with Air, Land and Water all featuring. 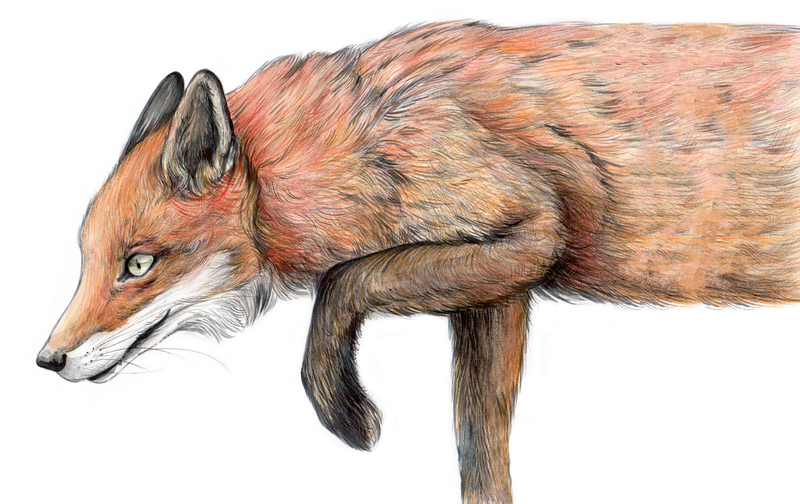 Some are very familiar, with the Robin, Woodpecker, Short-Eared Owl, Red Squirrel, Badger, Fox and Deer. Others stretch our concept of what an Irish animal is, with the Viviparous Lizard, Pygmy Shrew, Killer Whale and Basking Sharks! The illustrations are quite realistic and do not have the stylised approach of many artists today. They would actually help a child to pick out these animals in the wild and might spark a young mind into a love of nature. The text is not particularly heavy on information and takes a light approach, as the book is aimed at primary school children. It was released in September of this year and will no doubt prove a good stocking filler in the weeks ahead!